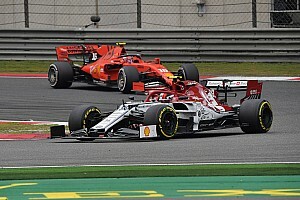 Weekend debate: Will overtaking in F1 be improved in 2019? The first attempts at solving the overtaking issue in F1 have been made, but the results will only be found out in the first couple of races of the season. Will the 2019 rule changes improve overtaking in Formula One? A combination of higher-downforce cars - introduced for 2017 - and aerodynamic evolution have resulted in drivers having greater difficulty in following a competitor. Some teams predict that, in normal conditions, a car needs a speed advantage of over one second per lap in order to have a chance of passing a car. Liberty Media became worried by the difficulty of overtaking at last year's season-opening Australian Grand Prix - which is already a difficult venue for passing - and immediately sought discussions with teams on how the overtaking problem could be solved, earlier than the pending rule changes for 2021. Technical updates to be brought in for 2019 were approved after the Azerbaijan Grand Prix, which included; a simplified front wing (with a larger span, and low "outwash" potential), a simplified front brake duct with no winglets, and a wider and deeper rear wing. At the time, F1's Managing Director of Motorsports, Ross Brawn, cited the clash between Red Bull team-mates Daniel Ricciardo and Max Verstappen at the Azerbaijan Grand Prix as an example of how much downforce can be lost when following another car. “One of the key episodes of the Azerbaijan Grand Prix was the collision between team mates Daniel Ricciardo and Max Verstappen," said Brawn. "Once Daniel had settled for his line, and Max had changed direction blocking that line, the Australian became a passenger. The downforce loss experienced by Ricciardo in the wake of Verstappen’s car would have made it unstoppable. "We often think of downforce applying in cornering, but the impact the extra grip has in braking is huge. Take away that grip in braking and what happened [in Baku] was inevitable." The proposed changes are aimed at directing more air under the car as opposed to around the outside of the car, described as "inwash" and "outwash", with the latter being less capable of handling turbulent air from a car in front. The front wings will be made slightly wider and less complicated. The 'flaps' on the end plates have been abolished, whilst the end plates themselves will be standardised. The number of 'strakes' on the underside of the front wing (the vertical lines seen in the below picture of the Renault's front wing) will be limited to two. Brake duct winglets are banned from 2019, as are blown axles, both of which energise the air going towards the outside of the car. Barge boards will be 150mm shorter and 100mm longer, with the aim of them being less sensitive to the 'dirty' air from the car in front. 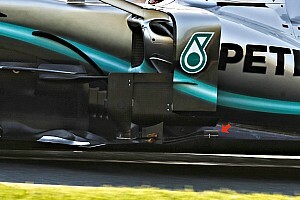 The rear wing will be made 20mm taller and 100mm wider, with the aim of redirecting more air away from the car behind. This in turn will allow the DRS slot to be 20mm bigger, increasing it's effectiveness. The horizontal slots on the rear wing end plates will no longer be allowed, as these were judged to create additional disturbances to the wake. That's up for debate, but some teams are fearing that they might not be as effective as planned. Red Bull, who have been the biggest critics of the rule changes, claim that the design change cost them around $15 million and that they're already reaching similar performance levels to last year. 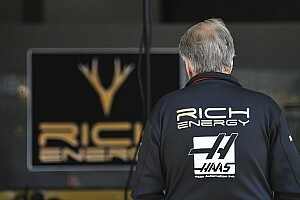 “We have the same [aerodynamic] data as last summer,” said Red Bull's Motorsport Adviser Helmut Marko to Motorsport.com. “By the time we get to Melbourne we'll probably be better than that." He added that greater collaboration between teams would result in quick fixes not being rushed through in the future. “[But] there is now a good basis for discussion between Mercedes, Ferrari and us. We agree that regulations must not be determined by technicians. “As soon as technicians are involved, the costs increase and everything becomes complicated. What do you think? 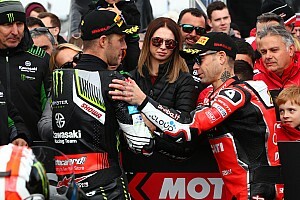 Will we see an increase in overtaking opportunities in 2019? Leave your thoughts in the section below.